1. Start with a new empty brain. 2. Create a new thought (IS). 3. Create a second thought as a jump thought (TheBrain). 4. Right Click on the link and 'Open Link Window'. 5. 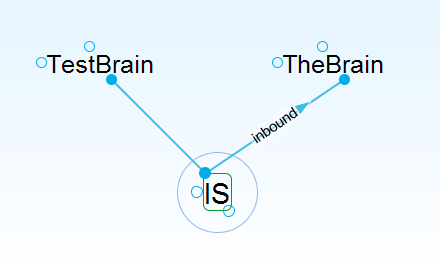 Enter Label 'inbound' and select direction from 'TheBrain' to 'IS'. 6. Close the Link Window. (The link arrow points from 'The Brain to 'IS'; so far so good). 7. Drag 'TheBrain' into the parent position. (The link arrow now points into the reverse direction (from 'IS' to 'TheBrain'). 8. Drag 'TheBrain back into the jump position. 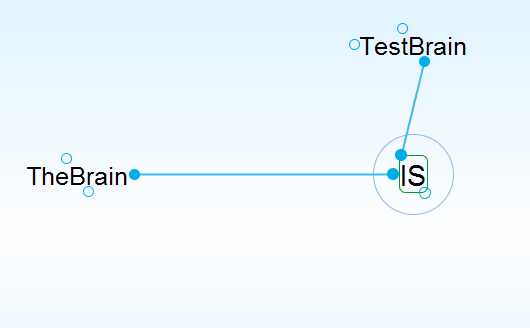 Link Types show the same behavior! IMHO, a direction, once defined, should not change! This is not just cosmetics but has serious implications for the semantics of TheBrain (see pictures). This means, at the moment, the 'Set direction of the link' functionality is useless, i.e. I cannot reliably depict dependencies of software packages. I can't help but think that this may be related to the thread on one-way links that's in the Issues forum. That thread focuses on when the one-way links are visible or not (and visible when they're not supposed to be). I had not seen the links reverse direction, but I've confirmed that that happens in Brain 7 as well when you change the parent-child relationship. I've written this up as a bug and let our engineers know. Thanks. obviously this function needs investigating.